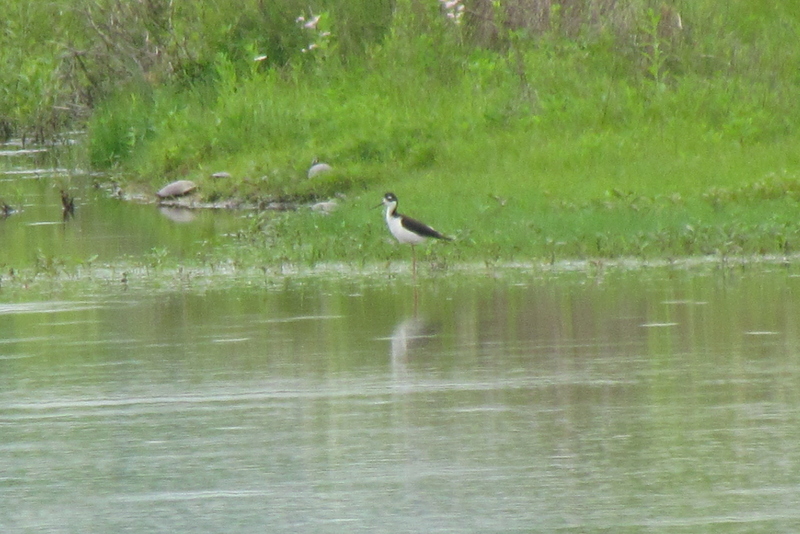 Black-necked Stilt — near Mount Pleasant, Lebanon County; May 15-18, 2009. Photo by Larry Usselman. This bird, found by Ramsay Koury, represents the 2nd record for Lebanon County. This photo was taken on May 17th. 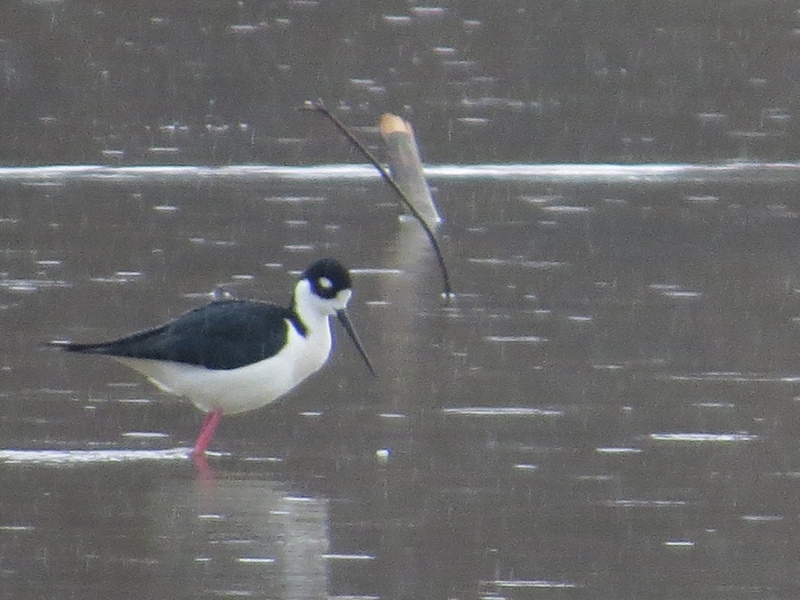 Black-necked Stilt — At an undisclosed location, Bucks County; May 16, 2008. Photo by Devich Farbotnik. These two birds were found and photographed by Devich. This bird was found by Drew Weber. Note the long, bright red legs (half of which are submerged), the dark upperparts, the white underparts, the long, needle-like bill, and the brownish back, which makes this bird a female. This bird represents the 1st record for Lehigh County. Black-necked Stilt — Fogelsville, Lehigh County; May 13, 2007. Photo by Jason Horn. This is another photo of the same bird that was found by Drew Weber. This bird represents the 1st record for Lehigh County. Black-necked Stilt — Fogelsville, Lehigh County; May 18, 2007. Photo by Michael Fialkovich.